CSX is a leading supplier of rail-based freight transportation in North America. But there’s more to CSX than you might expect. 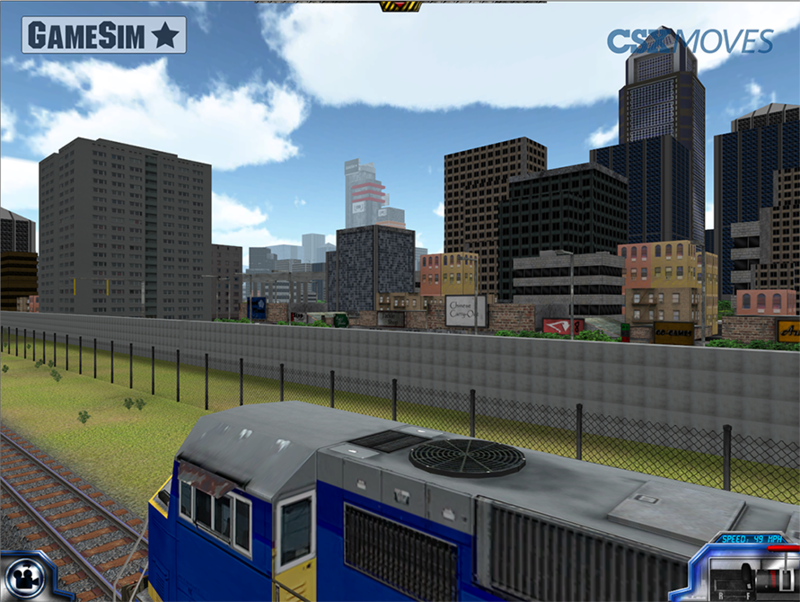 GameSim Worlds was contracted by CSX to create a gamified version of the company’s freight train procedures. GameSim was the sole developer of this project, providing the design, engineering, and art development. 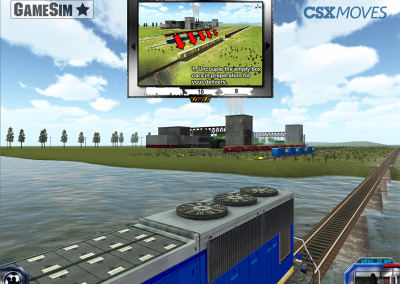 The GameSim Worlds team worked with CSX to understand their goals for building an interactive experience. CSX needed an Urban Planning Package to educate CSX employees and customers on daily freight train operations. From story-boarding to a complete product, CSX was tightly integrated with the GameSim Worlds designers, engineers, and artists. 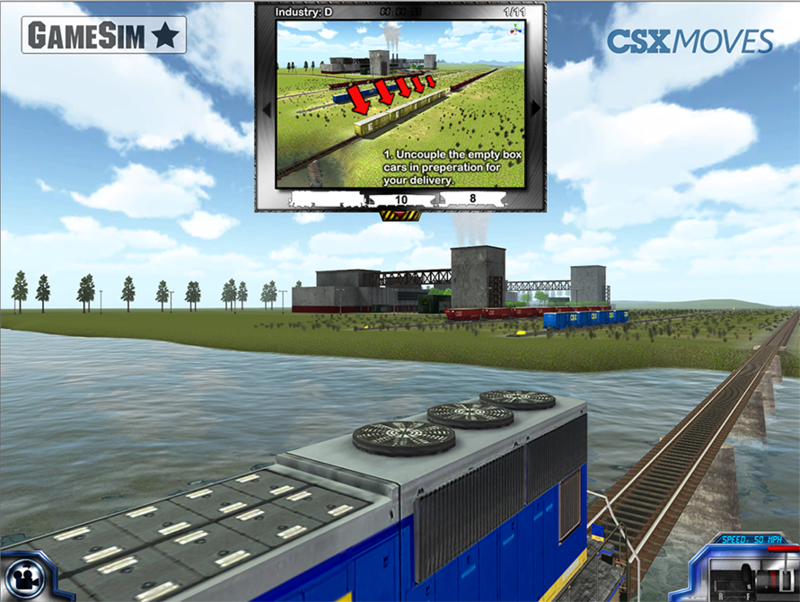 Using GIS datasets from CSX rail lines and yards, along with fictional locations, GameSim created a 3D world that would serve CSX needs. With the world created, an easy to play game was created to allow players to interact with this environment. 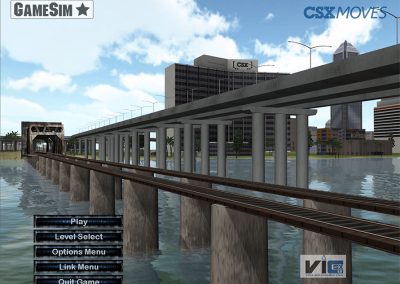 Players are to fully conduct the train as it passes through various serving yards, industry stops, and even downtown Jacksonville; all while encountering common freight transportation challenges. The game is built on Unity, which was chosen as a result of its development, iteration, and multi-platform capabilities. Our engineers and artists were able to quickly develop a framework for the game, allowing designers and the client to review progress, while providing design or quality input on a regular basis. 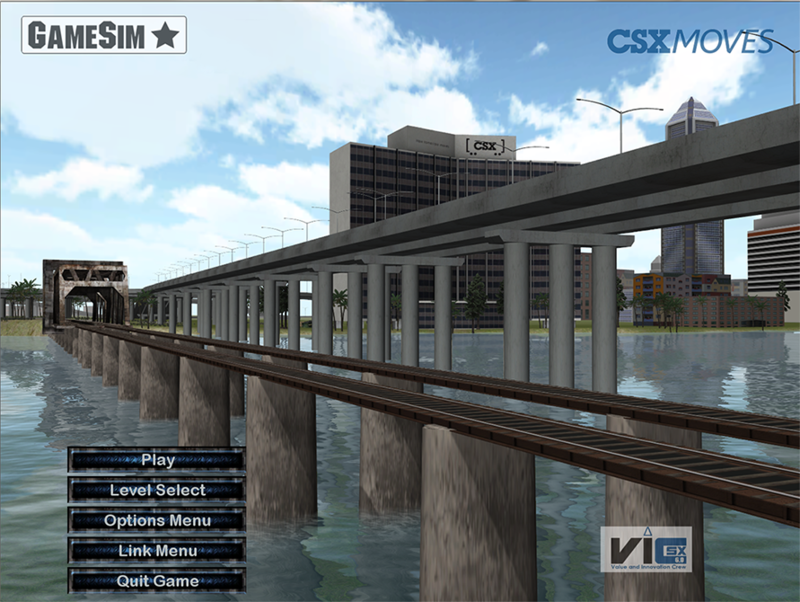 Many of the environments seen in the game, such as Jacksonville, have been developed using GameSim’s own terrain database toolset, Conform. 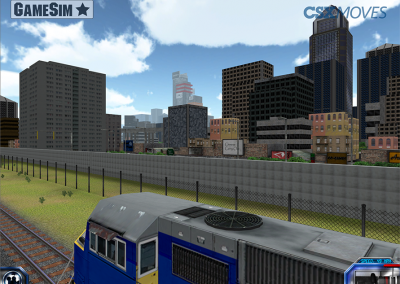 This game was originally developed on Windows 7, with support for an external controller, Raildriver. GameSim was then contracted to add support for OSX, as well as Spanish language support. It is expected that future expansions will add support for mobile/tablet devices and additional platforms (e.g. iOS, Android, and Windows 8).